Modern concrete is an incredibly useful and highly durable material. If properly proportioned and laid, it will endure for many years. However, many facilities are older and were built with older concrete formulas that weren’t as structurally sound. Older concrete must be inspected regularly and receive proper maintenance. 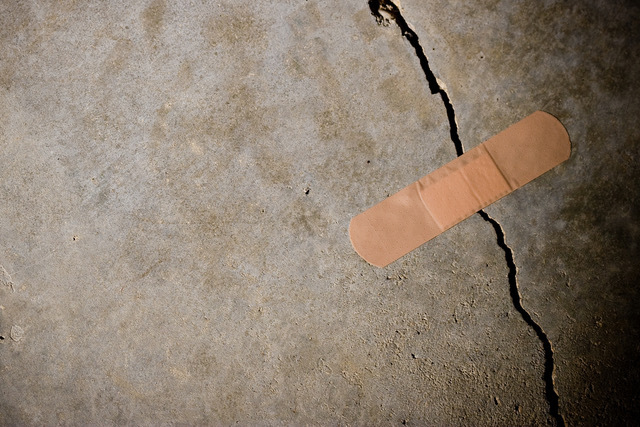 Concrete that is not properly maintained will result in very expensive repairs or replacement. These costs will be ten times greater than the cost of simple maintenance. Studies have shown that the areas that are most vulnerable to deterioration are those most exposed to the elements, especially in colder climates. These surfaces include the top two feet of exposed concrete that comes into regular contact with water. Once an area shows signs of wear, it will deteriorate faster, since there are greater surface areas exposed to the elements. Preventive maintenance such as weatherproofing treatment with concrete sealing compounds can greatly improve the durability of concrete. Correctly assessing the elements to which the concrete will be exposed to will determine which treatment is required. For example, compounds and coatings that provide good protection from weathering in dry climates will perform poorly when subjected to an abundance of water. For protection from freezing and thawing, tests have shown that proprietary epoxy formulas like Siloxane, Silane and Methacrylate deliver the best results. These solutions are much more effective than the old linseed oil-turpentine-paint preparations, which were used in the past. As soon as the concrete shows signs of deterioration is when treatment should be applied. If left untreated, the concrete will continue to deteriorate until it requires replacement. Signs of deterioration include cracking, surface scaling and shrinkage. If you treat these vulnerable surfaces in the early stages of deterioration, you will postpone serious and costly repairs. We recommend you inspect your concrete surfaces once a year, especially if your facility is over 20 years old, and even more so if you are located in a colder climate. But with proper inspection and maintenance, your old concrete structures should endure for many decades to come.